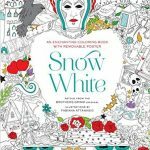 This enchanting retelling of Pinocchio will stimulate your creativity as you color your way through Fabiana Attanasio’s illustrations and make every page unique. 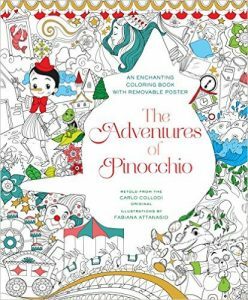 I hope you enjoyed the video walk through of the Adventures of Pinocchio Coloring Book by Fabiana Attansio, illustrator above. 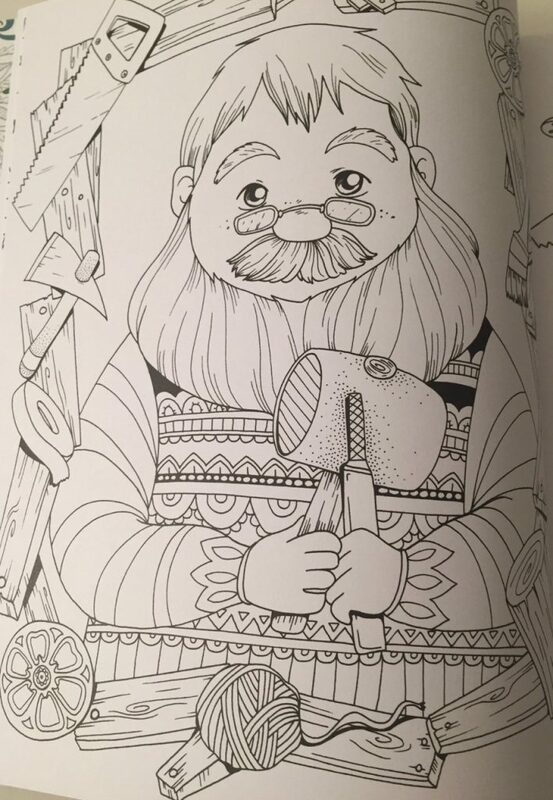 I was so excited when I see that there was going to be a Pinocchio Coloring Book being released. Even better when I realised that talented illustrator, Fabiana Attansio was drawing this little character. I knew that this book would be full of character and charm. 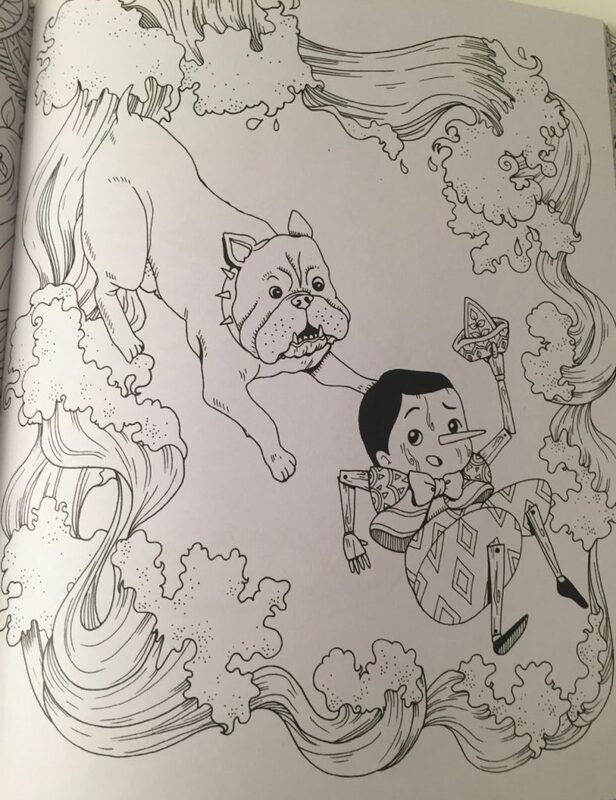 It also has place of honour in my affections as my first Pinocchio Coloring Book! 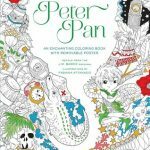 Fabiana also illustrated my very first Peter Pan coloring book too! 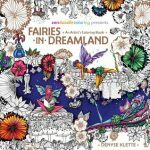 Fabiana Attansio has certainly picked a lovely fairy tale with Pinocchio to illustrate into a coloring book suitable for all ages. The back cover also contains a collage of pre printed images and a text blurb in green about the book. The collage continues around the book to the french flaps on the inside. 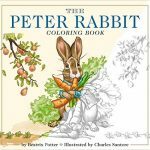 I love the images of bunnies on the back and Geppetto. On the back of the book these flaps protect the folded and glued poster that is also included in the book. Both the front and back cover and french flaps can be colored in. On the inner cover there is pre printing of black and white line art. 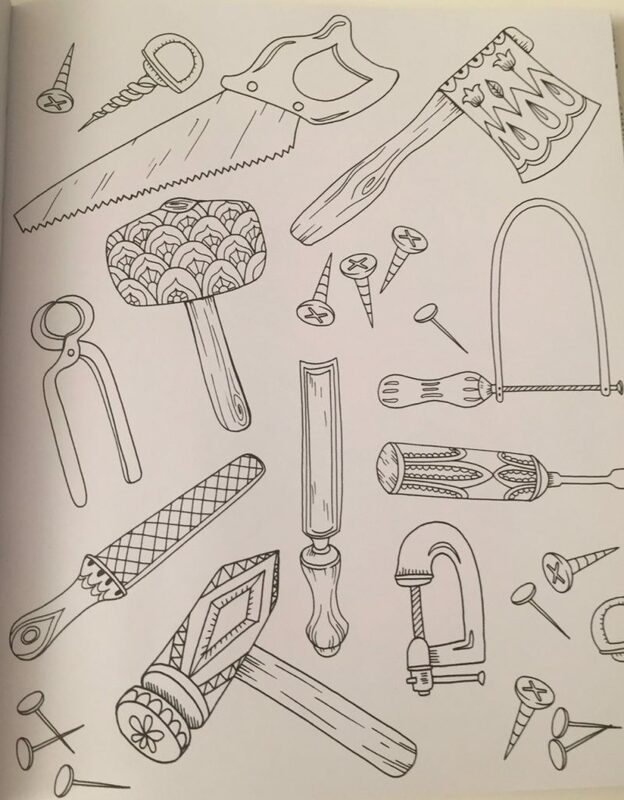 The images are gorgeous wooden items that Geppetto has undoubtedly made in his workshop. 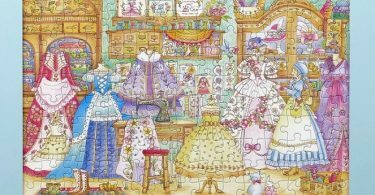 You will find clocks, boats, rocking horses, wagons, candles and books. A few little flowers are also scattered about. 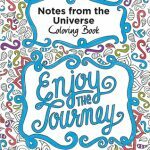 This cover is white glossy so you may need to use alcohol markers if you wished to color it in. 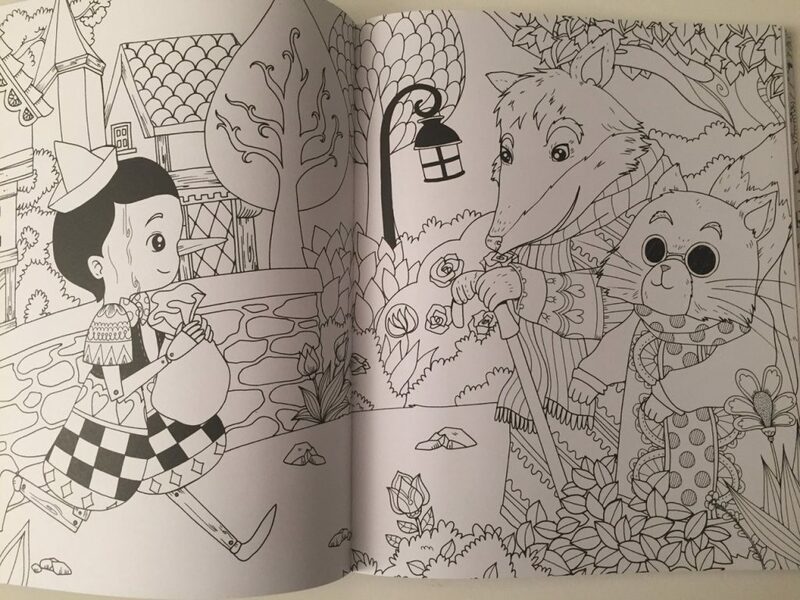 The book size is 8.4 in x 10.1 in and all the books in the “An Enchanting Coloring Book” series are the same size and format. One of the things that I love about this series of books is that there is always consistency in the cover and layout. 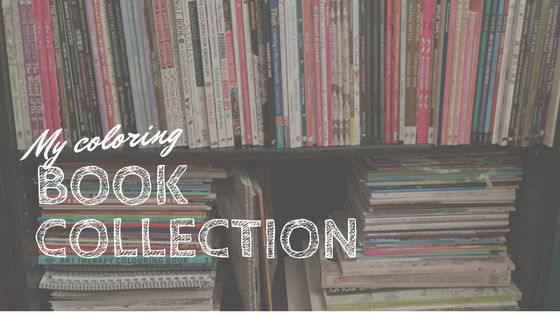 You will find that all the books contain the same number of pages, a similar amount of double page scenes and single page scenes. There are always a few pages with backgrounds pre printed in black, always a few patterns to color in and always the gorgeous, giant fold out poster at the end of the book. A plain title page commences the book (always a good spot to test those mediums). This is followed by a double page spread title page featuring a night scene with pre printed black quarter moon and stars over waves on the water. A five page abridged story of Pinocchio follows. 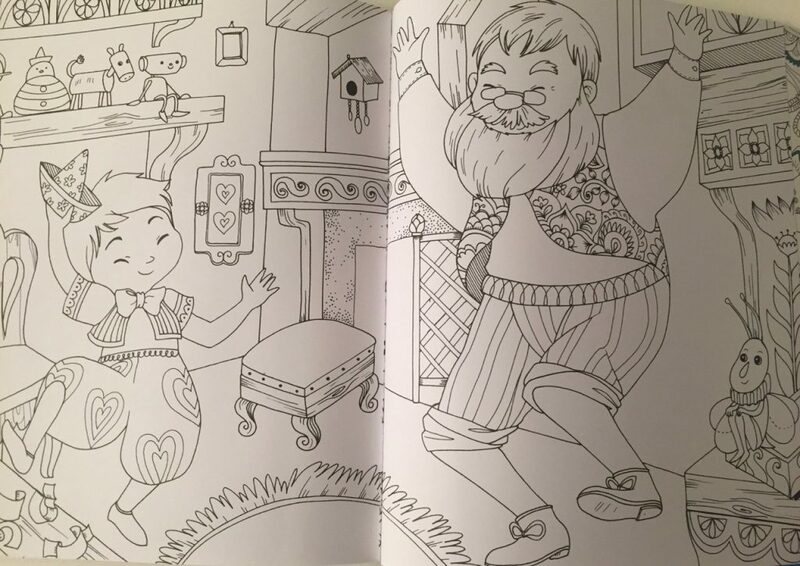 This has been lightly decorated with images for you to color in including Pinocchio. The coloring book proper then commences. The only thing that could improve these books, in my opinion, is the addition of a beautiful nameplate page. All of the illustrations are printed on both sides of the medium quality white paper. 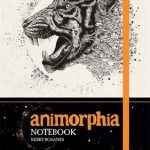 The paper has a slight texture to it, making it ideal to layer pencils on. The illustrations are all orientated portrait style. 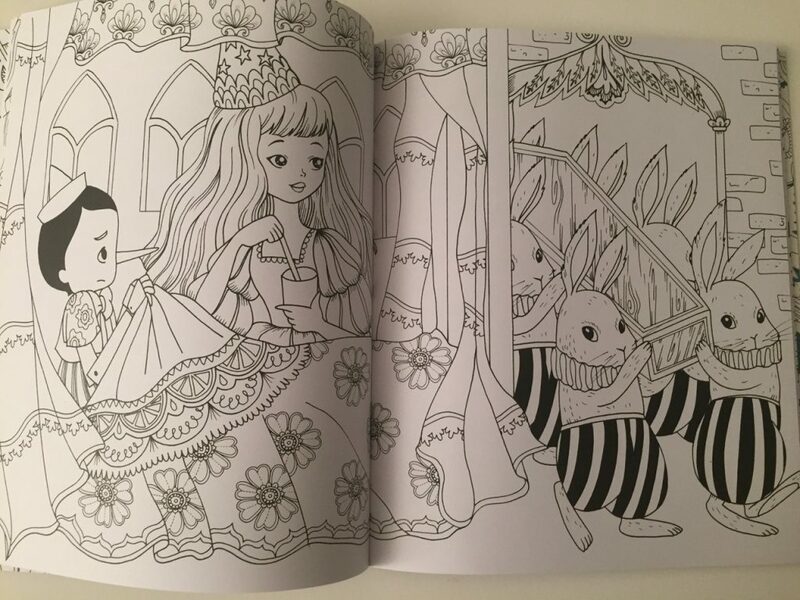 There are 32 pages that comprise double page scenes in the book with the balance being images contained on one page. 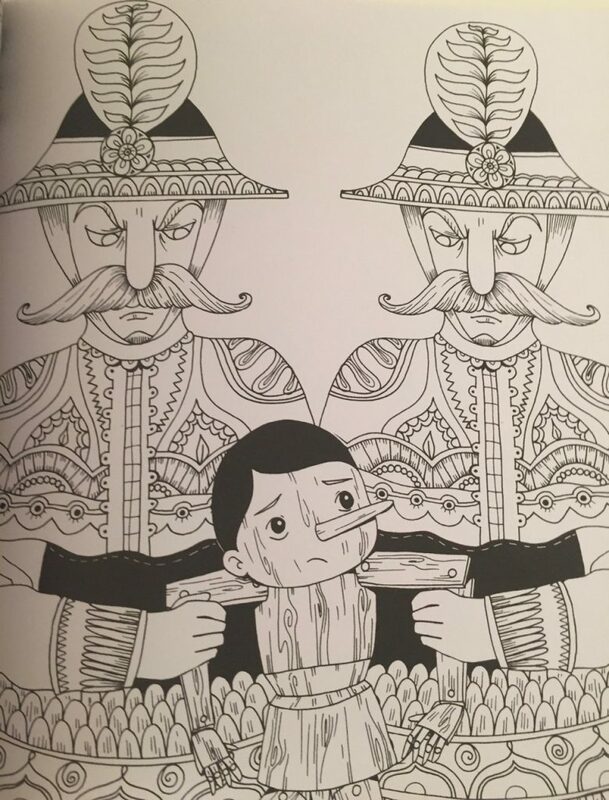 All of the double page spreads have line art that runs to the spine of the book. 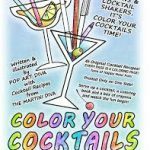 However, the book does lay down flat quite easily with some gentle pressure, making it easier to color in those tricky spots. Click the image to see more detail of each illustration. 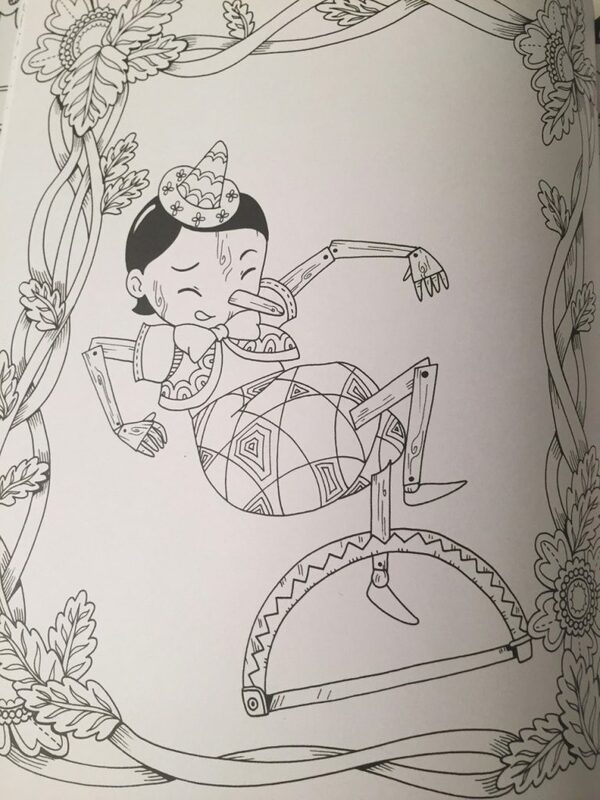 The illustrations in this coloring book tell the story of Pinocchio beautifully. We start in Geppetto’s workshop, the sculpting of Pinocchio and then through the adventures of Pinocchio himself. There is an abundance of imagery in this book. 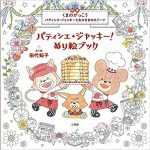 You will find cute toys to color, animals, fairground fun, sea adventures and workshop life. Fabiana has managed to instill a range of emotions into these characters, even our little wooden friend. You will see the concern, love and fun etched on these characters faces waiting for you to add color to them. The illustrations have been inked in black in varied line weights. 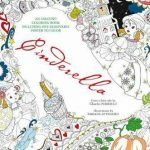 Primarily there are medium weight lines, fine lines have been used for texture and dimension and some solid black to define areas like Pinocchio’s hair. 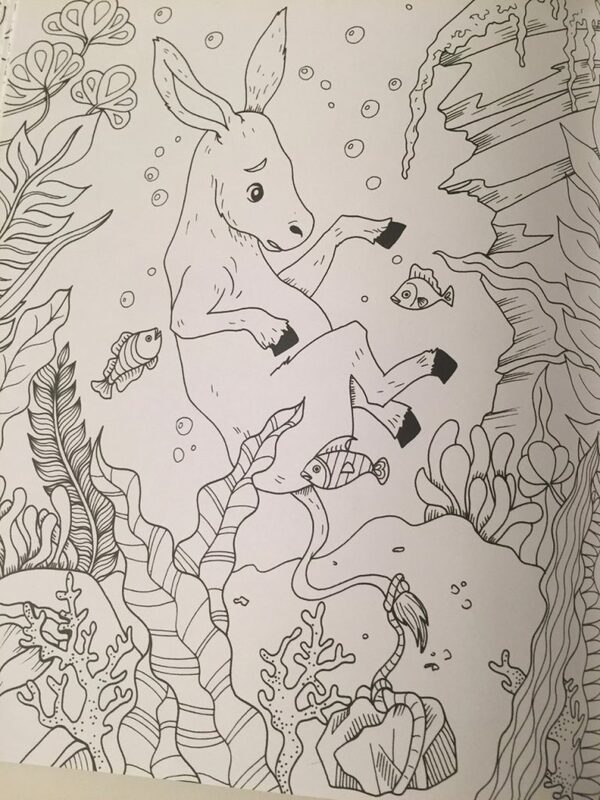 There is a lot of open space within the illustrations making the book ideal to color for all ages and skill levels. Most of the illustrations fill the whole of the page with very little room for background effects if you wanted to add those. Some pages have simple background effects like stars while others incorporate scenery. There are a handful of images that would be enhanced with a background color as they are positioned with a lot of white space around them. There are a couple of images within the book that are not scenery based, but are simpler images of clocks, pears and cat faces. These types of images can give variety to the colorist from coloring full image scenes throughout the book. Most of the images, although detailed and have a lot of elements, are not tightly packed. 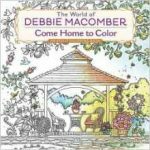 This means that there are not a lot of tiny details in the book to color, making it ideal for those with visual impairment or health challenges that make small space coloring difficult. There is one page with a pre printed black background on it. 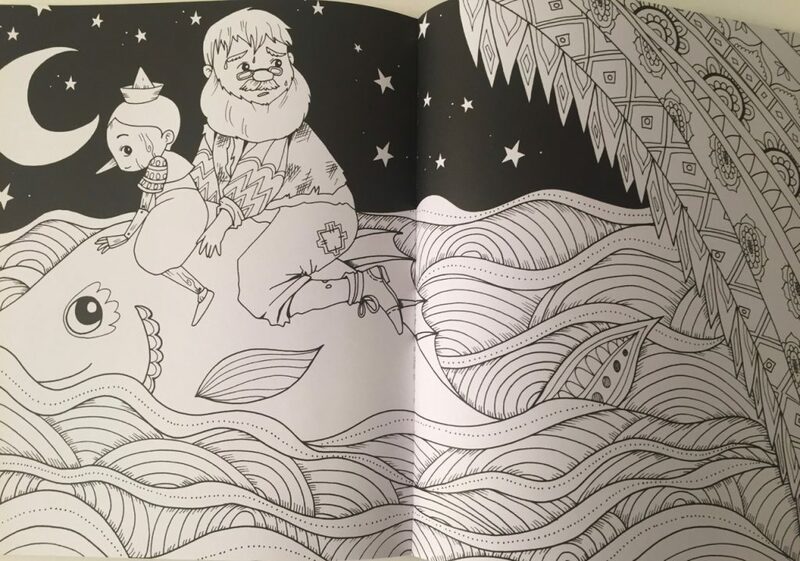 One of the lovely things about the “Enchanting Coloring Book” series is that each book comes with a beautiful fold out poster. 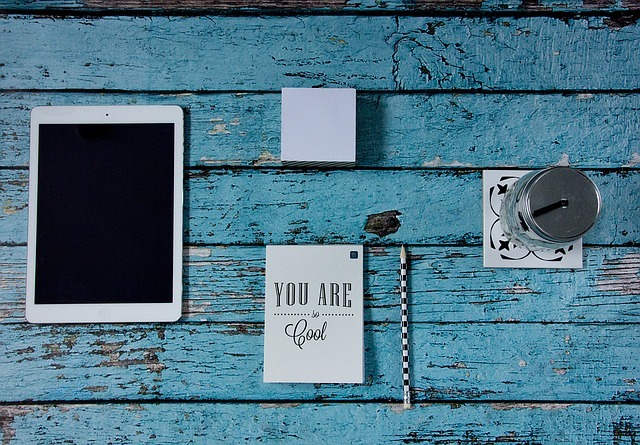 The poster is printed on white, medium weight paper and measures in at 95cm x 67 cm. 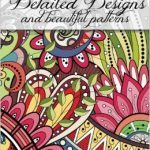 This would be ideal for coloring and framing in a child’s nursery or room or coloring as a family project! 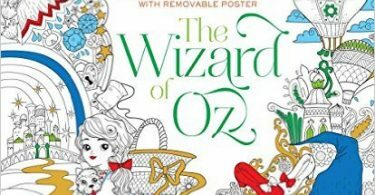 The poster features a full sized Pinocchio and Geppetto together with your favorite characters. Fabiana Attanasio was born in Rome in 1985. After graduating from the International School of Comics, she began her artistic career in the field of comics, before dedicating herself completely to illustration. 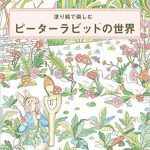 She is currently working with publishers all over the world. Fabiana lives in Italy. Given his origins I think Pinocchio might feel right at home on a wooden floor. : ) Best of luck deciding which picture to color. 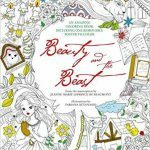 I’m eager to see Beauty and the Beast which seems to be the next book from what I can gather of Fabiana’s hints.